PHILADELPHIA (WPVI) -- A taste of Hollywood is coming to Philadelphia this fall and 6abc will be your all-in-one red carpet access, behind the scenes guide, and backstage pass for the 26th Annual Philadelphia Film Festival. 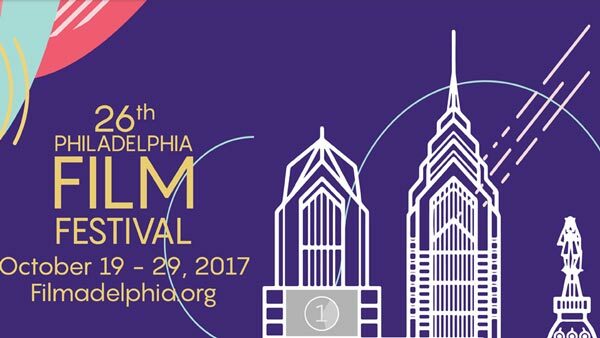 The 26th annual Philadelphia Film Festival begins October 19th and runs through October 29th. More than 25,000 dedicated filmmakers are expected to be part of this ten day film festival. How many films will be screened? On average, the Philadelphia Film Festival presents more than 100 films. Will there be actors, directors, and producers at the festival? Yes. The PFF draws industry guests and panelists for events and panels throughout the festival. The Philadelphia Film Festival offers three badge levels - Weekend, All-Access, and VIP. As a badge holder, you never need to buy a ticket, receive priority admission to all screenings, and get special perks at the Festival Lounge. - Admission to the PFF26 Festival Lounge, plus special Badge Holder perks! - Admission to the PFF26 Festival Lounge during the Film Festival, plus special Badge Holder perks! *Priority admission is granted via the Badge Holder Line until fifteen minutes before the screening start time. Badge Holders arriving less than fifteen minutes before the screening start time may be required to wait for admission until after ticket holders have been seated. Yes, along with badges, tickets will also be available. Tickets will go on-sale for Philadelphia Film Society members on Friday, October 6th and to the general public beginning Monday, October 9th. Tickets may be purchased through the Festival website, www.filmadelphia.org/festival, or in-person at the Main Box Office at the Prince Theater (open Monday - Saturday from 12 noon to 5:00 pm). Can I volunteer for the Philadelphia Film Festival? Which theaters will the movies will be shown? What movies will be featured?